Do you like sunflower seeds? Have you ever had fresh sunflower seeds? It doesn’t matter because that is irrelevant for this game. Van Gogh painted sunflowers. Lot’s of them. This crossword is a celebration of one of those paintings. Enjoy! 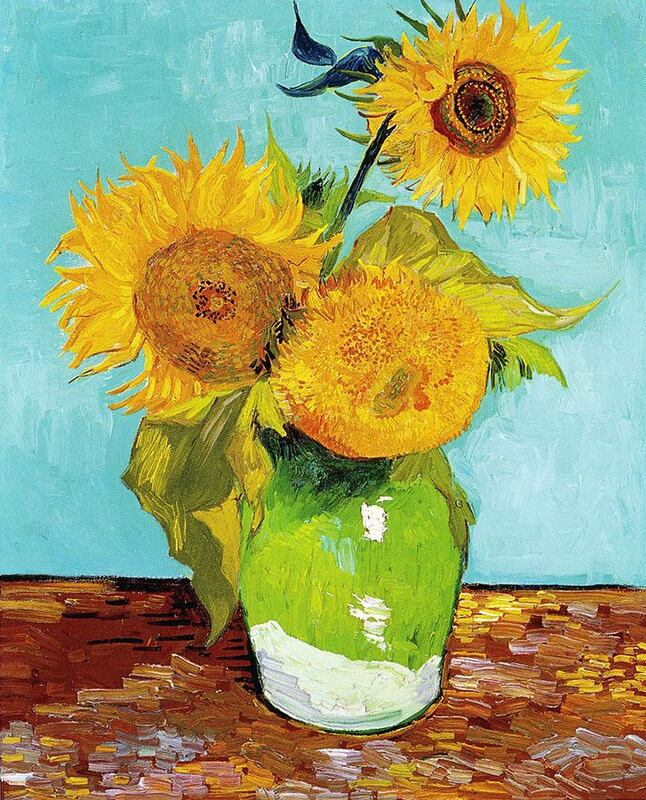 If you like this game you might enjoy the Van Gogh sunflower matching game. Not your average crossword puzzle! Look at the clues in the painting. Fill in the crossword. Check your answers! You can check your answers at anytime. Correct answers turn green. Incorrect answers turn red. WooooooHoooooo! You did it. Eat some ice cream!